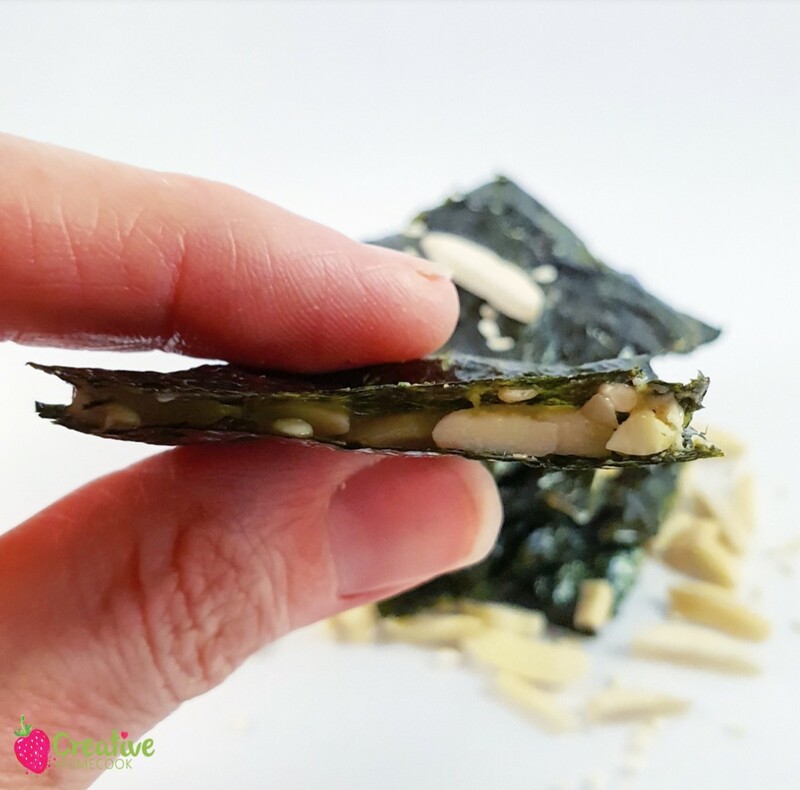 This recipe is Vegan – Vegetarian – Gluten Free – Dairy Free and Egg Free friendly. 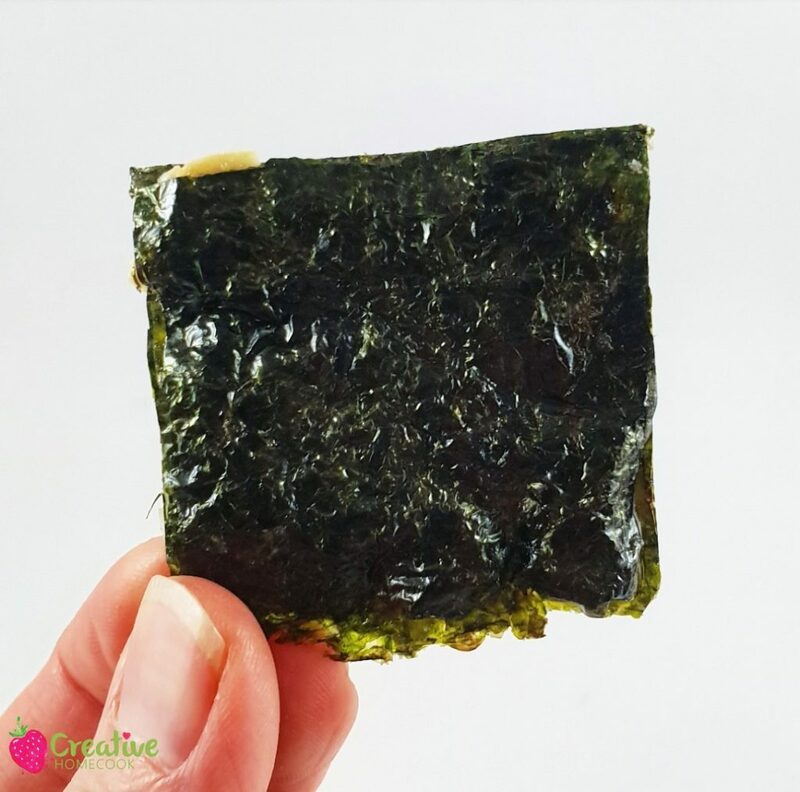 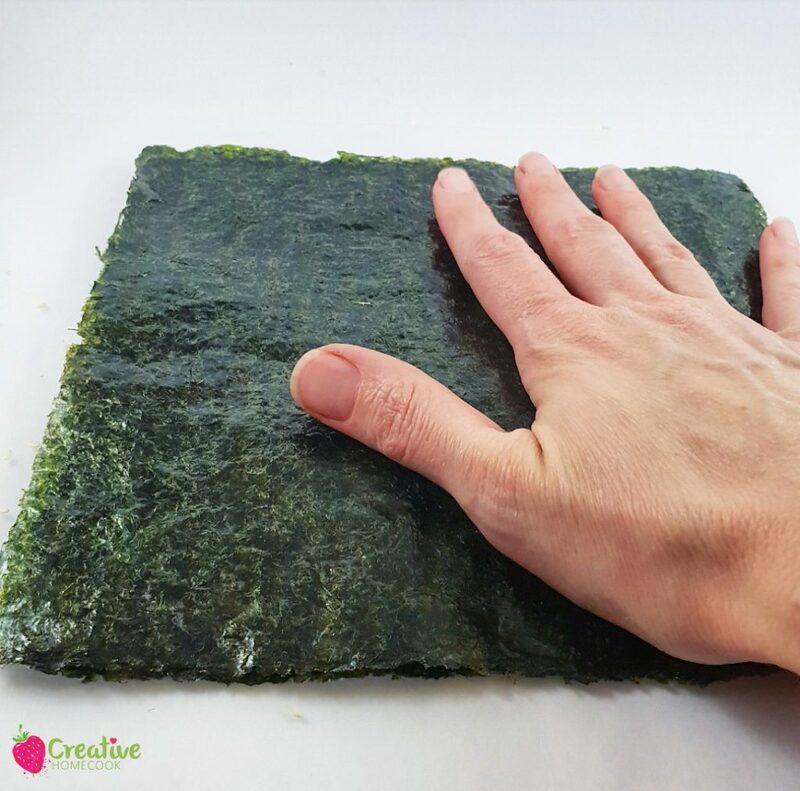 I had a bag of nori sheets in my pantry and one night I looked at it and wondered what else I will be able to make with it. 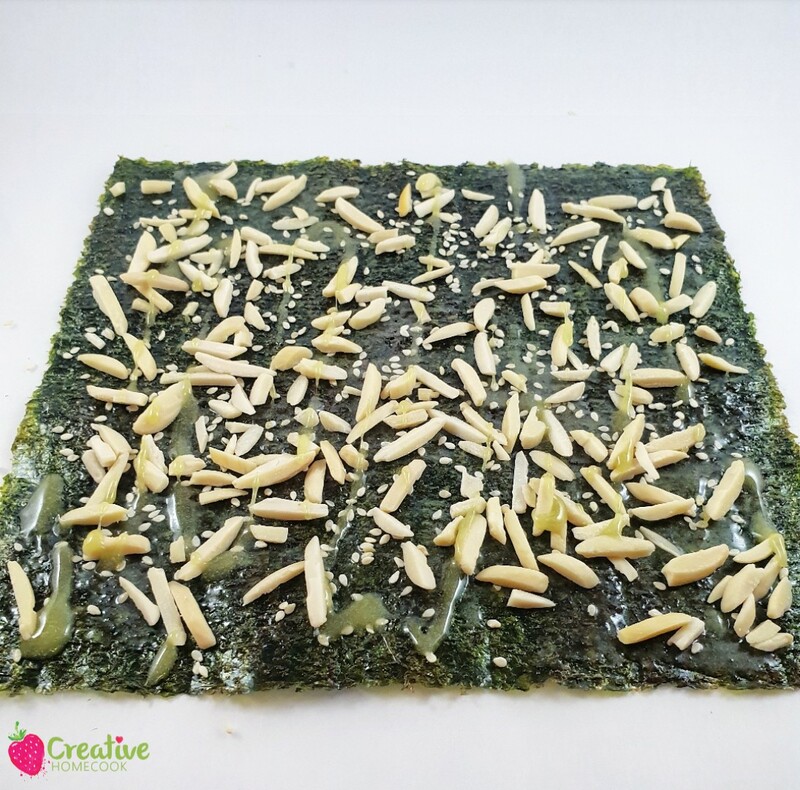 This is what I experimented with and it turned into a recipe. 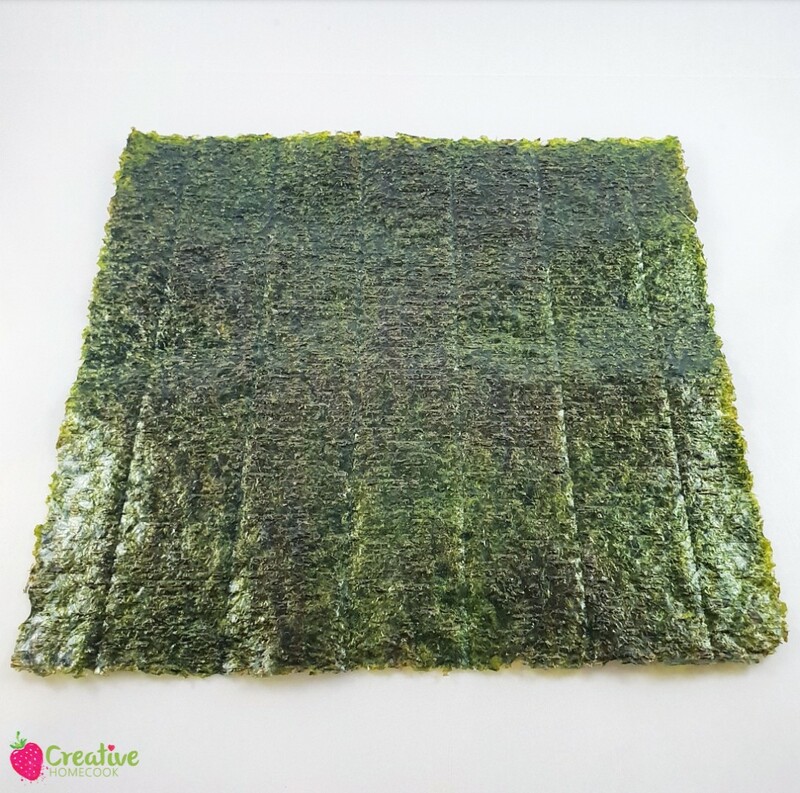 • Preheat your oven to 160˚C/320˚F. 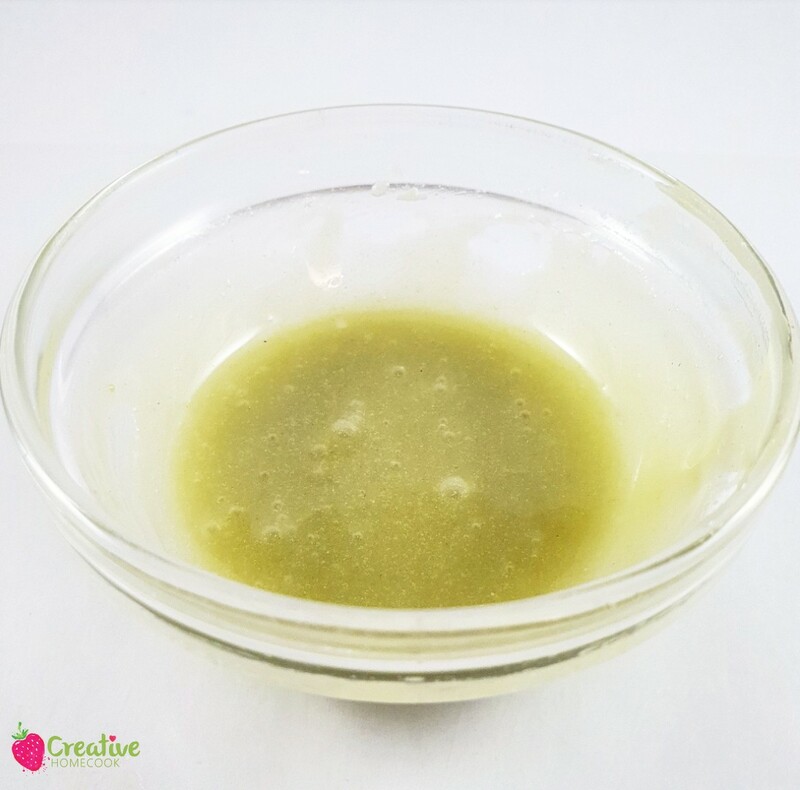 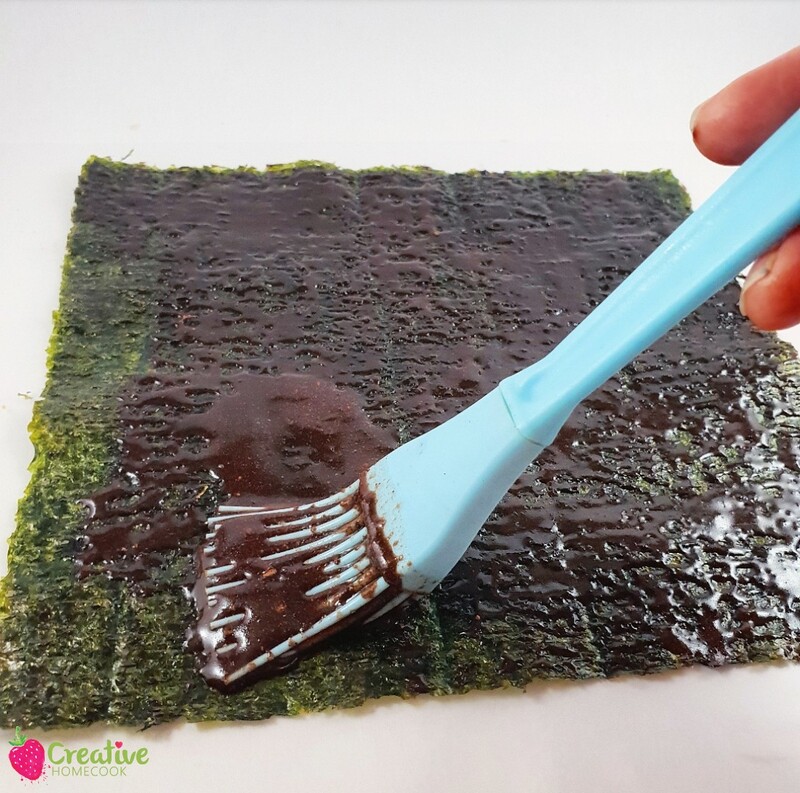 • Mix the coconut oil, rice syrup and wasabi powder or cocoa powder well. 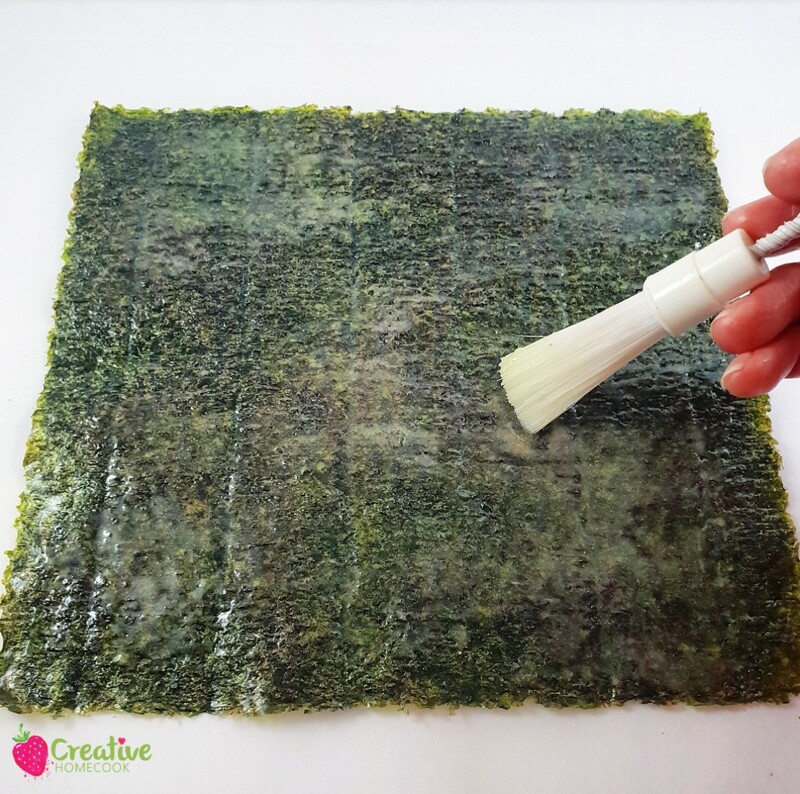 • Brush one side of each of the nori sheets with the rice syrup mixture. 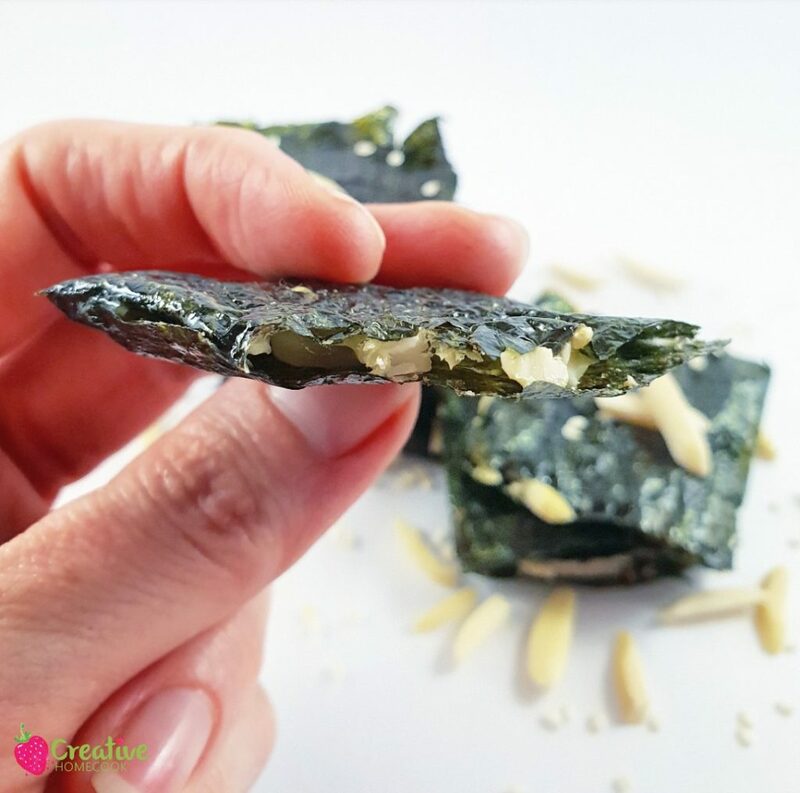 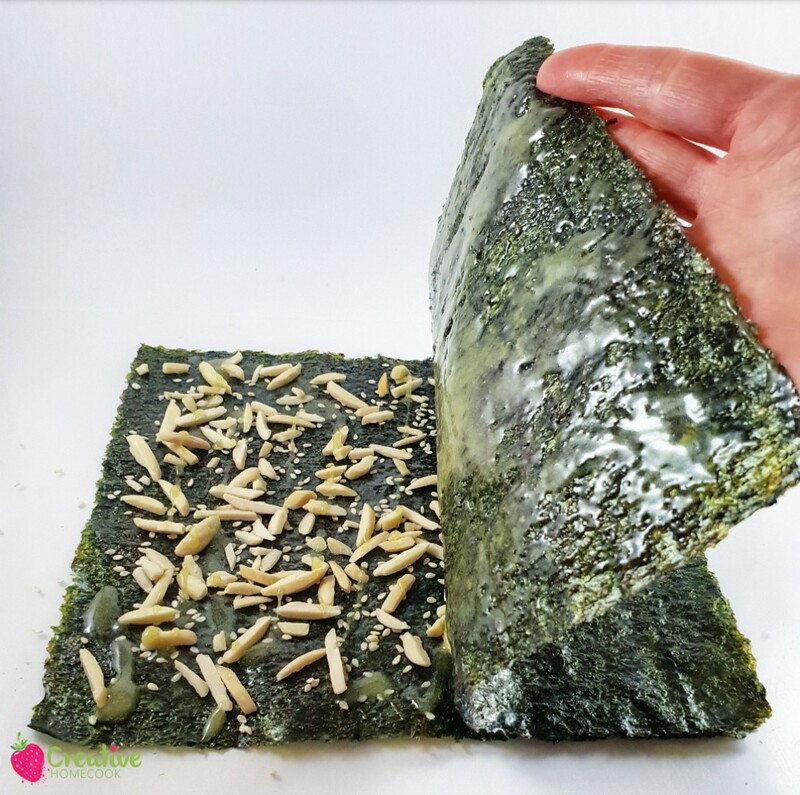 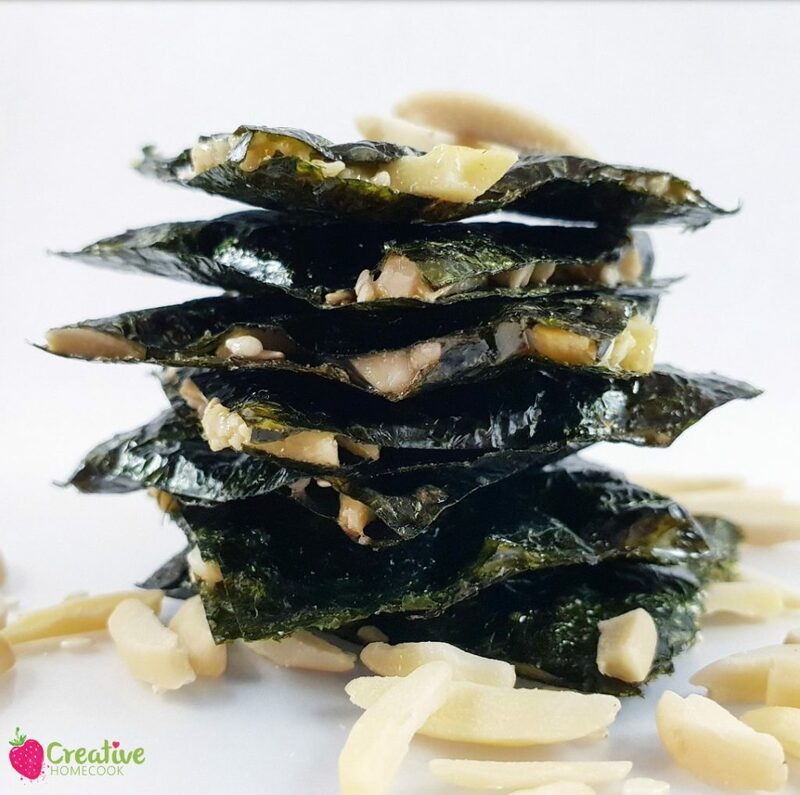 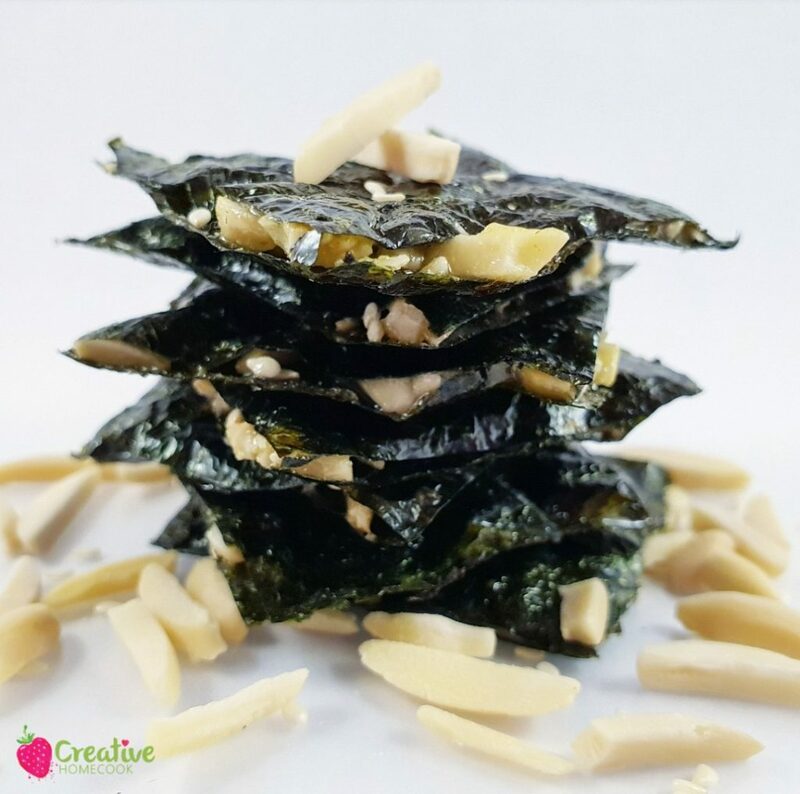 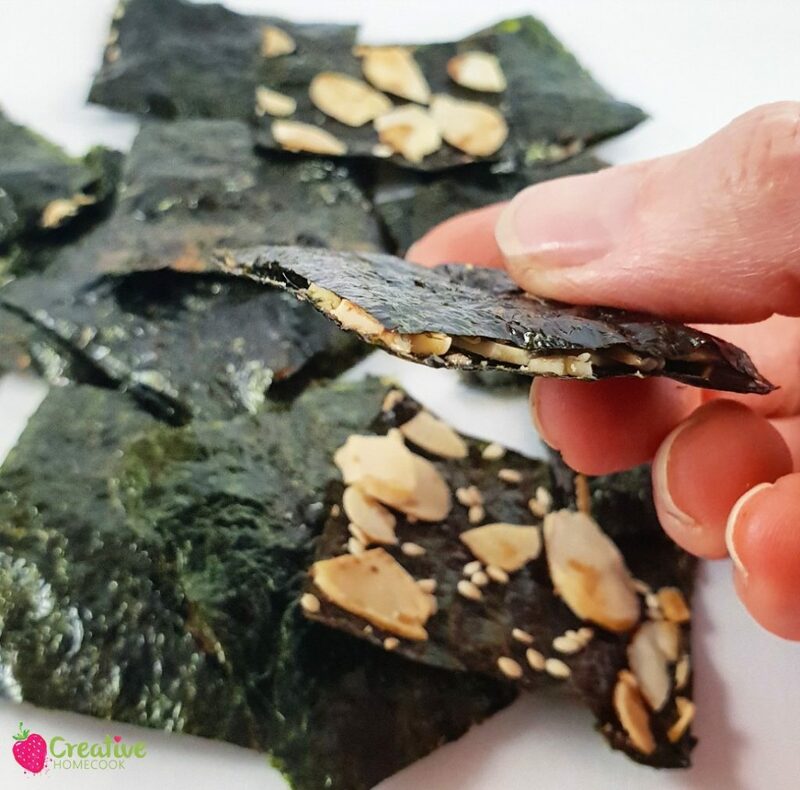 • Sprinkle the almond nuts and sesame seeds over on one of the nori sheets and then close it with the second nori sheet. 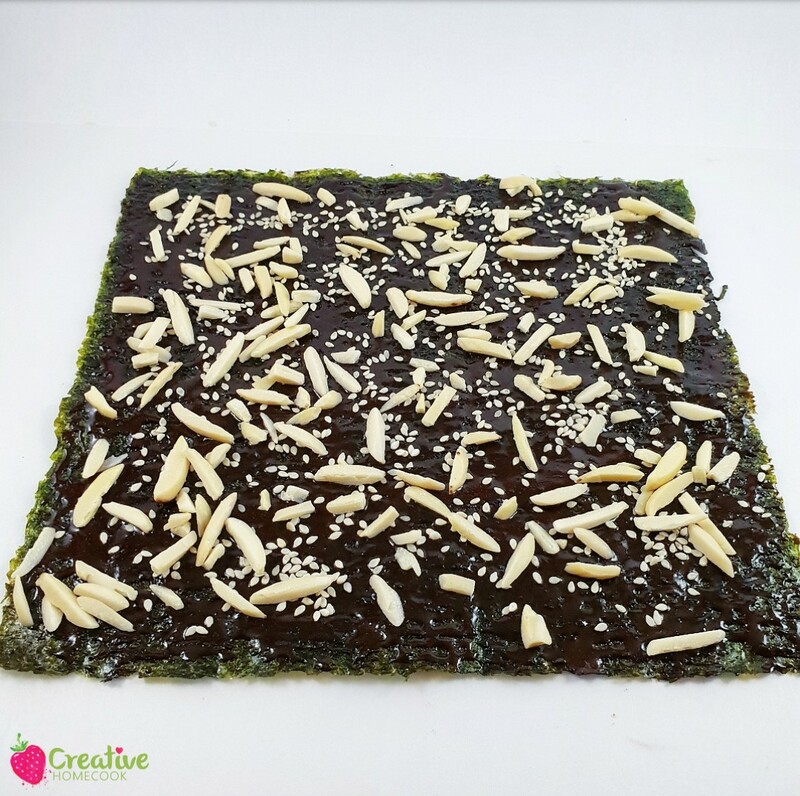 • Cut the sheets into equal sized squares and spread them evenly across the lined baking tray. 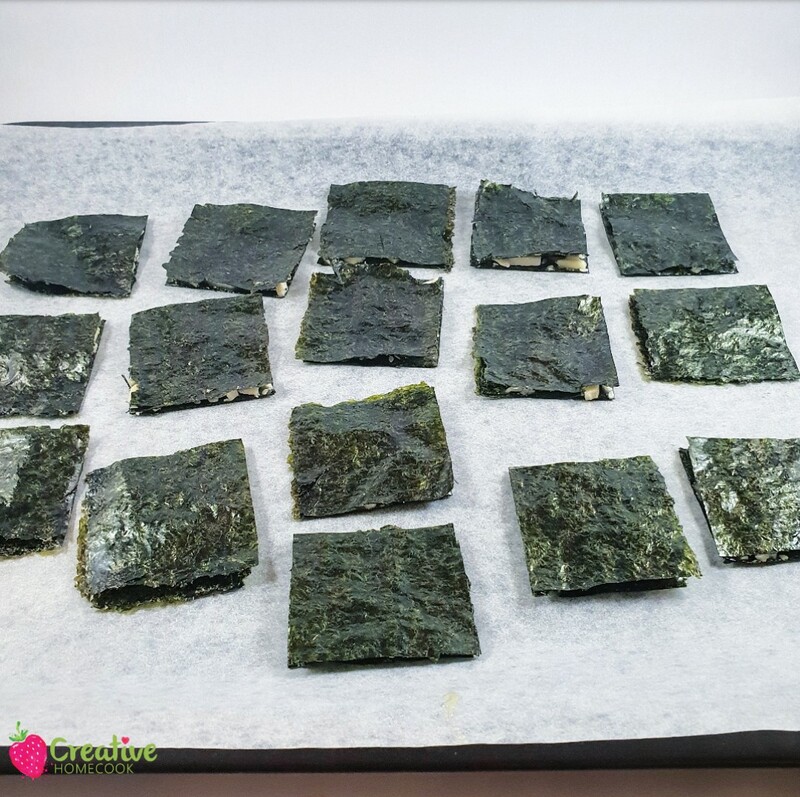 • Bake them for 5 minutes then turn them over and bake them for another 3 minutes. 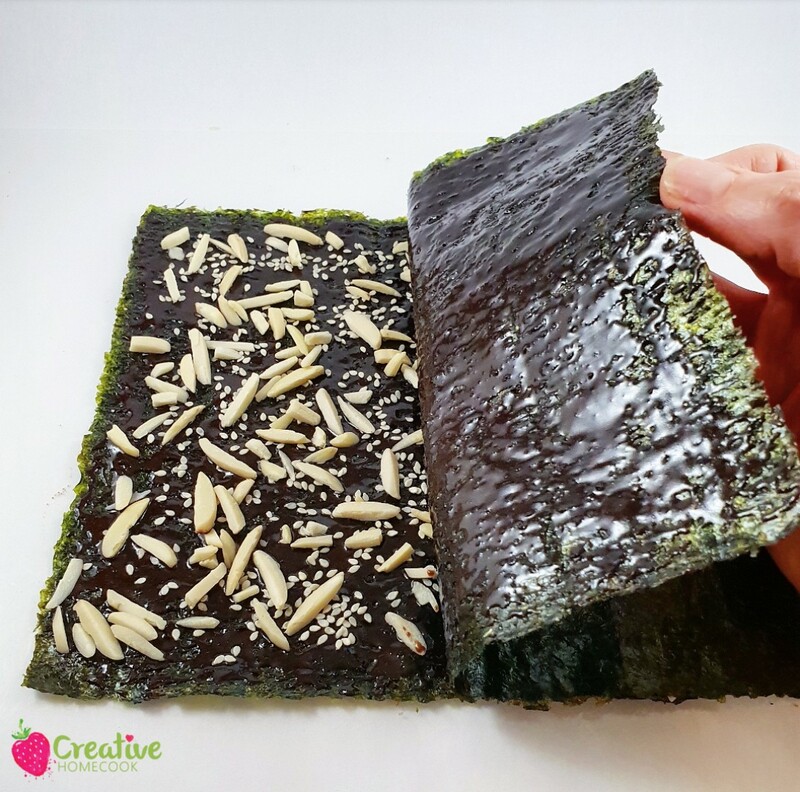 • Let them cool completely and enjoy. 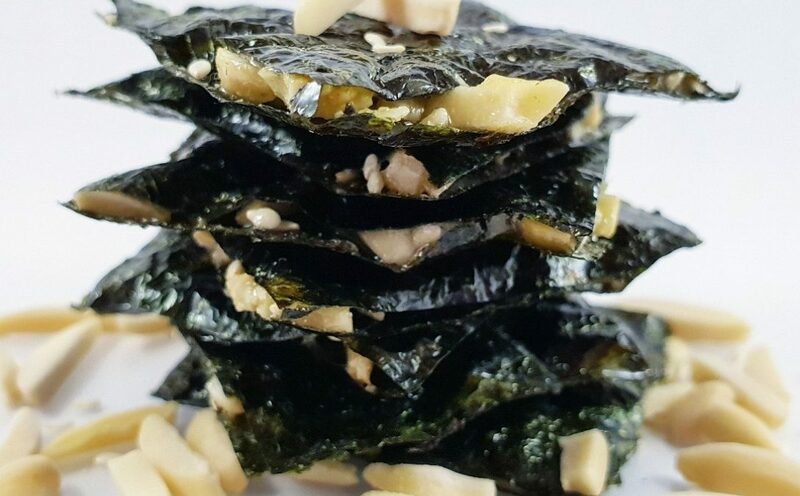 • I have tested this recipe with Rice Syrup, Honey and Maple Syrup. 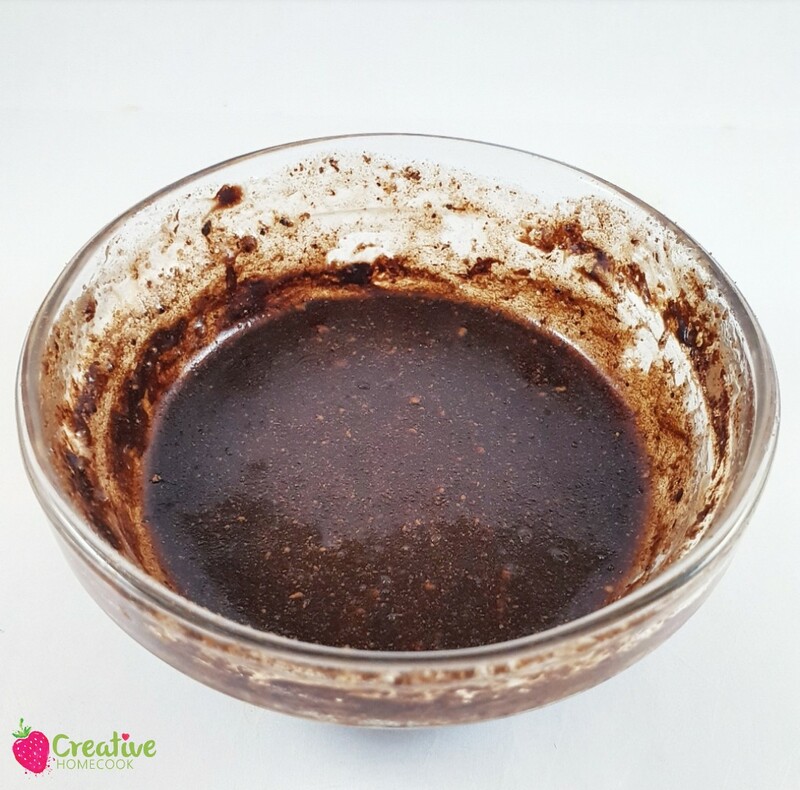 I found that the rice syrup gave the best results, followed by the honey. 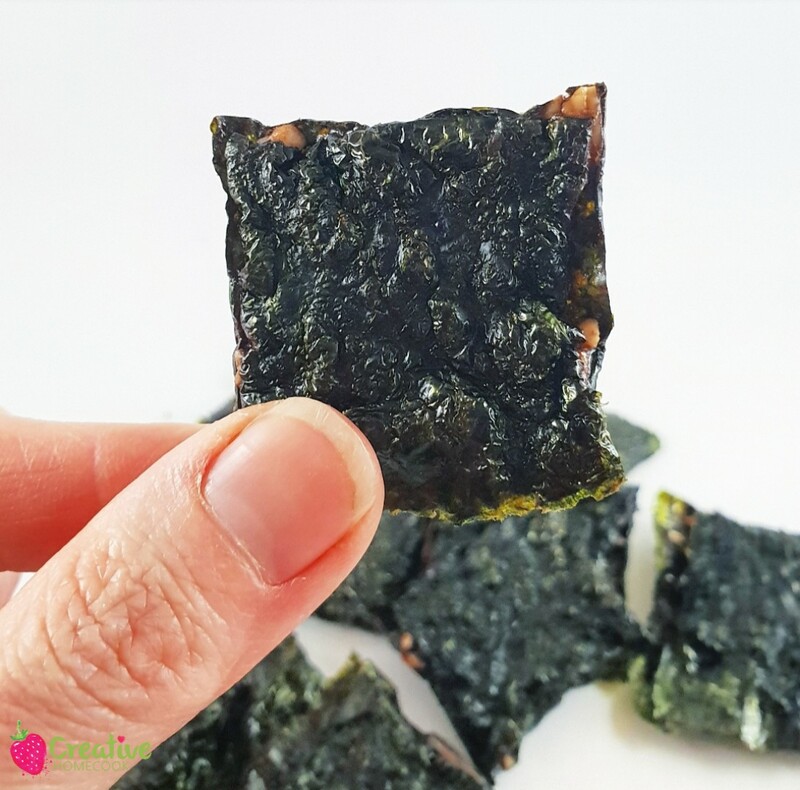 The maple syrup also worked but it did shrink up the nori sheets, so they looked a bit funny.